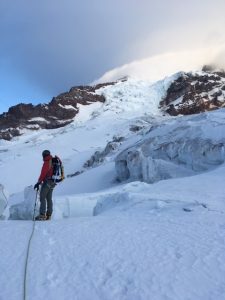 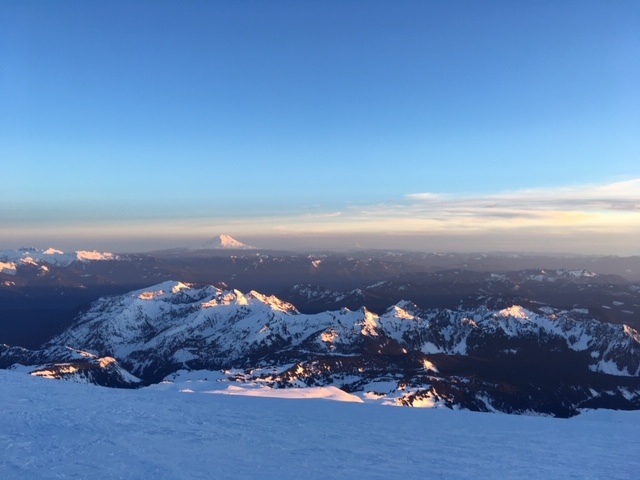 The Denali Prep Seminar will train on the Nisqually Glacier today. 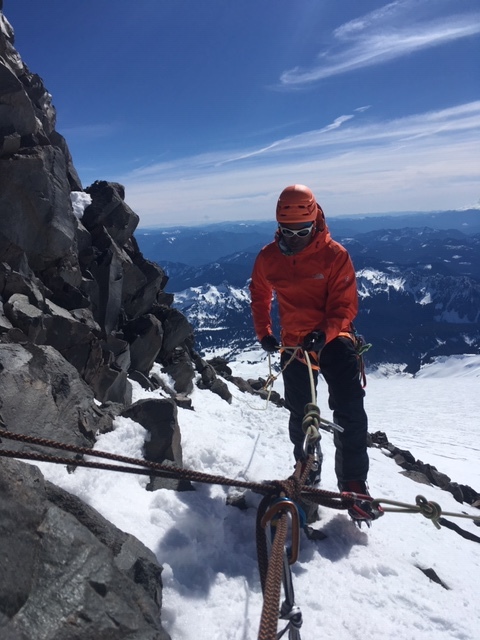 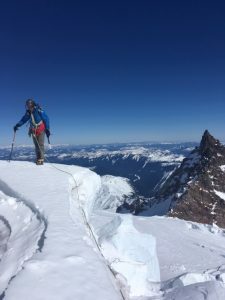 IMG Guides, Jay Lyons & Rowan Stewart, scouted out a nice crevasse this morning and the team will spend the day applying their newly acquired knowledge of snow and ice anchors and add technical crevasse rescue systems, including self-rescue, to their repertoire. 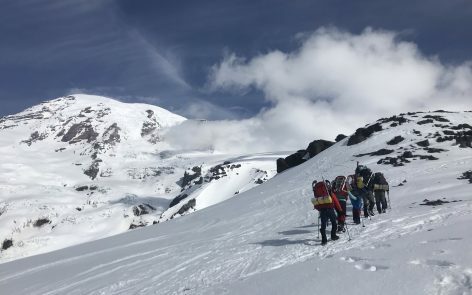 The weather shifts today and the team can expect clouds and eventually precipitation either before they head down tomorrow or as they depart. 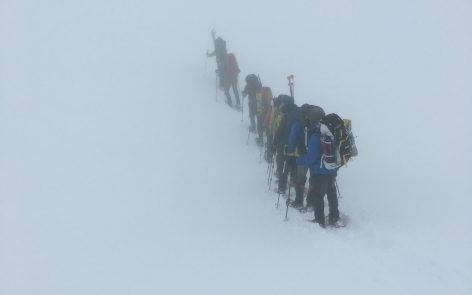 They may even have a chance to work on navigation skills in less than clear conditions. 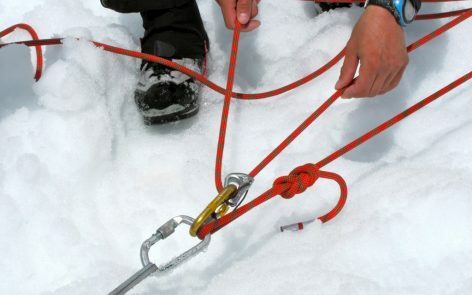 A good skill to have on any mountain! 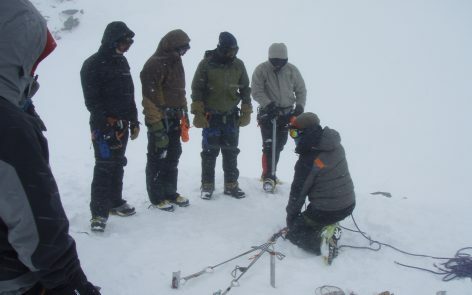 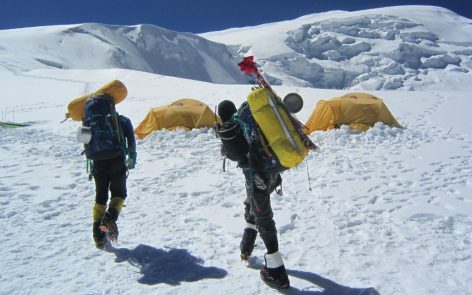 We still have one spot available on our April 27 – May 3 Denali Prep Seminar. Sign up today! We also have room on our Little Tahoma Seminar. This seminar helps prepare you for more technical climbs in the Alps, Alaska, and the Himalayas. 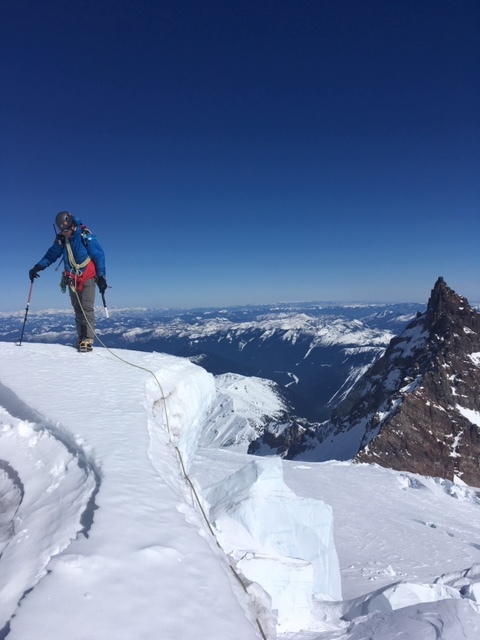 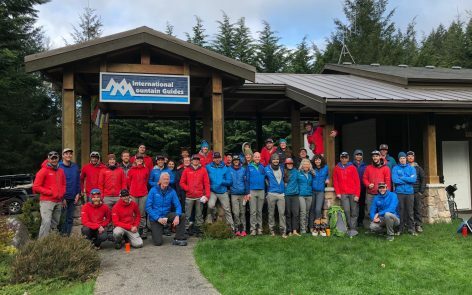 If you have aspirations for the Mattehorn, Ama Dablam, or something in the Wrangell-St. Elias range, this seminar is for you!